On Saturday, November 10th, 2018, Pueblo Science hosted its annual fundraiser, Good Morning Science, at the Intercontinental hotel in downtown Toronto. Below are two accounts of the event written by two of our event volunteers, Soomin Lee and Sara Shah. 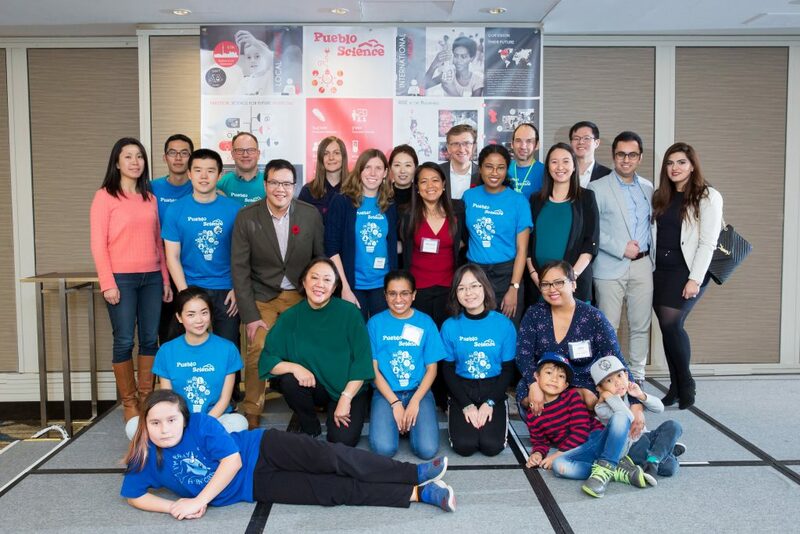 The fundraiser engaged parents through inspirational speeches from speakers: Dr. Cynthia Goh, and Dr. Scott Browning, Professors in the Department Chemistry at the University of Toronto and Philippine Consul General Rosalita Prospero. 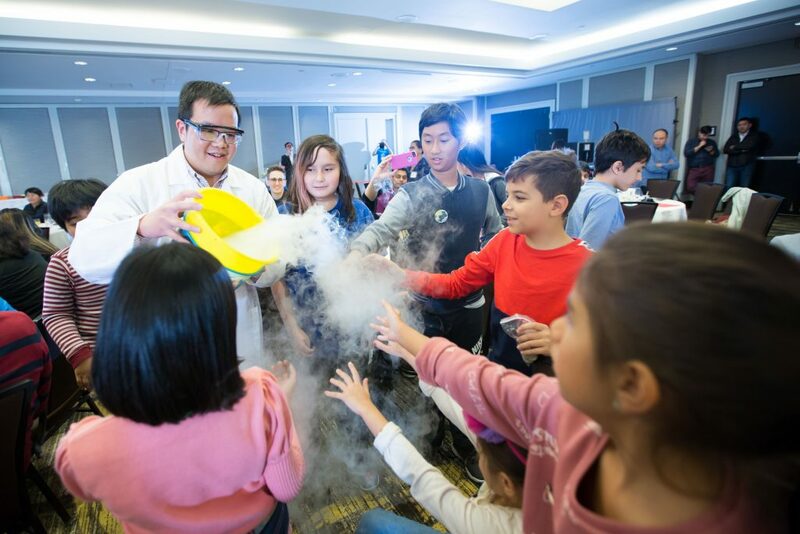 Children and their parents were also able to participate in a wide variety of educational science activities including learning how to code, making your own lip balm, and to making instant ice cream using liquid nitrogen. Each activity inspired children and even parents to appreciate the impact and importance of science. It was amazing to see many children, parents, supporters, and volunteers come together to support the advancement of science education. As a volunteer at the event, I had the opportunity to help run the liquid nitrogen ice cream making station. Nitrogen is a chemical element that is essential to all life on earth and can be found in living organisms. Liquid nitrogen is extremely cold and is maintained at a very low temperature of around -196 degrees Celsius. Therefore, we were able to make instant ice cream in just about 5 minutes with the addition of some liquid nitrogen into a simple liquid ice cream batter while vigorously stirring to allow for the liquid nitrogen to freeze the liquid ice cream batter evenly. After, everyone got a chance to sample the ice cream that was made. The station was evidently a clear favorite among both children, parents, and volunteers as many came back again later for more. Although, I think we can all agree that you can never say no to ice cream! The event ended off with a spectacular science magic show hosted by Leo Mui and his assistant Anji Zhang, who stole the hearts of our audience with scientifically magical tricks including their mysterious color changing liquid, to their disappearing water act. It was really great to see everyone involved and enjoying the show while learning about the simple science behind the tricks. Encouraging our youth to be as excited about science and math as they are about recess often seems like a challenge, but it’s not impossible. The Good Morning Science fundraising event hosted by Pueblo Science proved this to be true. The event took place on November 10th 2018 at the Intercontinental Hotel in Toronto and all proceeds went towards supporting Pueblo Science outreach programs in the Philippines, Guyana, Jamaica, and Trinidad . All the families and volunteers in attendance enjoyed a delicious breakfast before beginning the day with an introductory presentation about Pueblo Science and its mission to extend STEM education to children in underprivileged global communities. Our speakers included the Consul General of the Philippines, the Director of the Impact Centre, and the Executive Director of Pueblo Science—Mayrose Salvador— all of whom shared stories of the positive impact Pueblo Science has made through training teachers in the developing world and creating a sustainable educational environment. 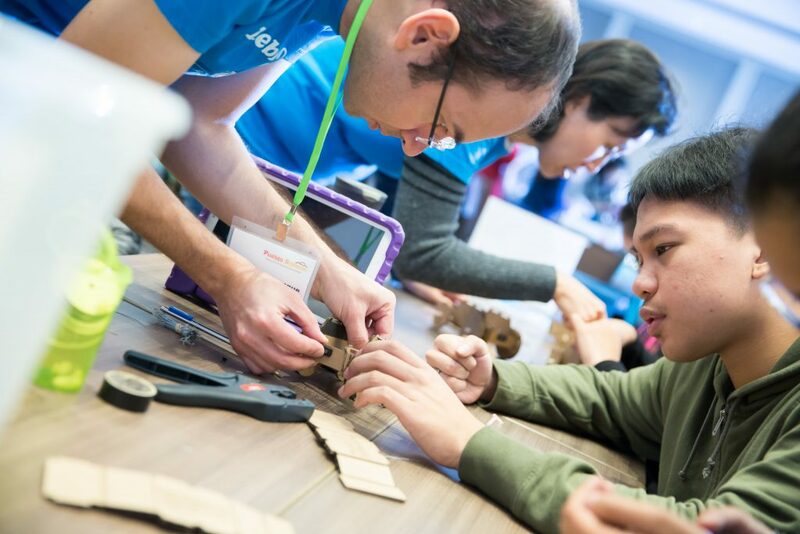 The presentation was supplemented by several hands-on activities such as making ice cream with liquid nitrogen, creating chromatography buttons, mood patches, slime, DIY lip balm, a robotics station and an introduction to coding. These stations were run by dedicated volunteers, such as myself, with a passion for science and a shared desire to stimulate academic interest in the younger generation. At each station, the idea of applying scientific thinking linked to basic biology, chemistry and physics principles to everyday objects and activities was emphasized. One of the more popular stations amongst the kids, which I had the privilege of running, was Slime. This station was undoubtedly the messiest, which is probably why it was favoured by the kids. However, we did not simply make slime but also explained the science behind it. The main takeaways from this station were the principles of viscosity and polymers. The kids learned how the reaction between the acid in the liquid detergent causes the polymer structure of glue to change and form attachments called “crosslinks” that help make the slime weak enough to stretch and flatten when left to stand. This event was the perfect combination of education and entertainment as it ended with a magic show, in which the magicians did reveal their secrets… through scientific explanations. As a volunteer, I thoroughly enjoyed my experience and am extremely appreciative of the initiatives that Pueblo Science has implemented locally and overseas. We hope that as awareness of our cause increases, new members join our growing community and help us raise science literacy.